“Trick or Treat” is a phrase that will be bellowing through our area very soon, as the children seek out their favorite candy! Here are some quick tips to help your child be safe this Halloween. Have your child wear or carry something that is lit, like a flashlight, glow stick/bracelet, light up shoes. Something that will help them be more noticeable as they are going door to door during the night. Plan their route and stick to an area you know and feel safe. Wear comfy shoes for walking. Don’t wear costumes that drag the ground, because they can get caught on bushes, cause the child to trip if their feet get tangled in them, etc. If your child is wearing a mask, make sure it’s breathable and allows full visibility. Drink water! Plan the costumes for the weather, so that over heating doesn’t happen, and make sure to stay hydrated. 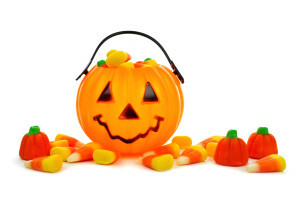 Eat a healthy meal before you hit the streets for candy! This will help reduce the sugary temptation before bedtime. Children should be accompanied by a parent or older sibling while trick or treating. Always inspect the candy before it’s eaten! Make sure there are no objects in your yard if you are passing out candy that children can fall on (i.e. garden hose, cords, etc. ).